Is Windows Taking Forever to Shut Down? Try This! Updated by Tina Sieber on December 26, 2016. Shutting down Windows seems like it should be a simple process. You’re just turning your PC off How To Shut Down Windows 8 How To Shut Down Windows 8 Windows 8 brings the biggest changes to the familiar Windows interface since Windows 95. The Shut Down option isn’t where you’d expect to find it – in fact, the entire classic Start menu and Start... Read More ; how hard can it be? Yet there’s more to shutting down than just cutting the power. Windows must shut down system processes, save data, and purge unneeded information from memory. Usually, the shutdown process takes just a few seconds, but the complex series of steps that take place behind the scenes can sometimes trip over itself. The result is a system that never actually shuts down, or takes an extremely long time to do so. Here are the reasons why your Windows 7 or Windows 8/8.1 PC might not shut down, and how to fix it. Note that we have previously covered hacks to speed up the Windows 7 shutdown process and how to speed up Windows 10 from boot to shutdown How to Speed Up Windows 10 From Boot to Shut Down How to Speed Up Windows 10 From Boot to Shut Down Registry tweaks and ominous cleaners rarely fix a slow computer. We have compiled a list of tried-and-true methods that will give your Windows 10 computer an instant performance boost. Read More . You might also be interested in learning how to quickly shut down Windows. Programs are a common cause of shutdown issues. If shutting down your system does not even bring up the “Shutting down…” screen and you instead get stuck at the “programs need to close” prompt, you likely have a software problem. Ideally, Windows will show you a list of programs that need to shut down. Often, they’ll be closed automatically, but sometimes the system will not proceed further. This is usually because you have an open program that needs to save data. Halt the shutdown process by clicking Cancel and then make sure you’ve saved your data in all programs open. Remember to save before shutdown in the future, and presto! Problem solved. This doesn’t always work, however. Sometimes a list of programs that need to shut down will appear, but it will be empty, or it will appear only briefly, but your PC doesn’t move to the shutdown screen. This is a sign that a program is causing your woes. After attempting to shut down, open Task Manager Mysteries Of The Windows 7 Task Manager: Why You Don't Need an Alternative Mysteries Of The Windows 7 Task Manager: Why You Don't Need an Alternative This might seem contrary to what you read about throughout the Internet, but the Windows Task Manager is fine as it is – it doesn’t need a replacement. You could interpret that as a simple... Read More and take a look at the programs still running, by looking at their memory usage and their description. Fixing a program once you’ve identified it as likely culprit may not be easy. The software may need to be patched, or may need re-installation. You can also try manually terminating the program with Task Manager before shutting down your system. Some trial-and-error may be required to confirm which program is causing shutdown to hang. Windows closes a number of system processes when it shuts down, packing up data as needed to make sure the system boots cleanly the next time it’s needed. If a process hangs while shutting down, however, you won’t know which; the default Shutting down… screen gives no details. Now, in the right-side pane of the window, you may see an entry called VerboseStatus. If you see it, right-click it and then click Modify, and change its value to 1. If you do not see it, right-click an empty portion of the pane, go to New, and then DWORD (32-bit) Value. Create an entry called VerboseStatus and then set its status to 1. 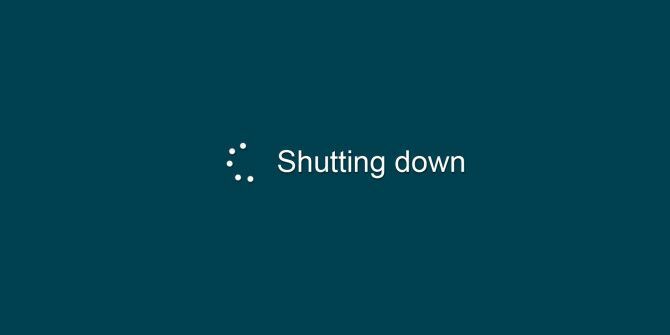 You will now see a list of processes that are shutting down on the Shutting down… screen, which will help you determine what is causing your problem. You may find there’s some kind of Windows Update issue When Windows Update Is Stuck, Try This When Windows Update Is Stuck, Try This Is Windows Update giving you a headache? We have compiled seven tips to help you get it un-stuck. Read More , for example, in which case you might need to re-download a pending update, or install it manually. Other common problems include corrupted hardware drivers and network processes that do not shut down. Having completed the registry editing step, you may find that your shutdown screen hangs due to a driver or a process bug you don’t understand or don’t know how to fix. In these situations, it’s a good idea to look into updating both Windows and your drivers. Updating Windows is simple. You should be doing this already, but some individuals turn off Windows Update for various reasons. Do a Windows search for Windows Update. The menu that opens should show you if any updates need to be installed, and if they do, clicking Install updates will get the process moving. You may need to restart to install the updates. Solving a driver problem can be more difficult because most companies do not have an auto-update tool available. Fortunately, IObit offers a tool called Driver Booster that can scan your PC for outdated drivers and update them for you. 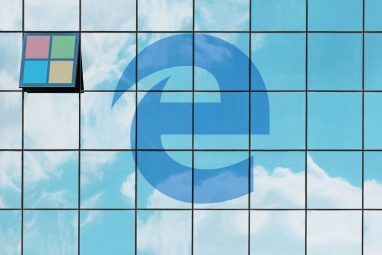 In Windows 10, Windows Update is enabled by default, though you can temporarily turn it off 7 Ways to Temporarily Turn Off Windows Update in Windows 10 7 Ways to Temporarily Turn Off Windows Update in Windows 10 Windows Update keeps your system patched and safe. In Windows 10 you're at the mercy of Microsoft's schedule unless you know hidden settings and tweaks. So, keep Windows Update under control. Read More . To check on the status of your updates, go to Start > Settings > Update & security > Windows Update and see what’s listed under Update status. Click Check for updates if it’s been a while since the last check. If Windows needs to reboot to install downloaded updates, it’s best to use the Restart now option found in the Settings app. Here, you can also schedule a restart. Alternatively, you can go through Start > Power and choose one of the options that include Update. Windows 10 also automatically updates your drivers. This has been known to cause havoc. You might have to manually re-install older or custom drivers Take Back Control Over Driver Updates in Windows 10 Take Back Control Over Driver Updates in Windows 10 A bad Windows driver can ruin your day. In Windows 10, Windows Update automatically updates hardware drivers. If you suffer the consequences, let us show you how to roll back your driver and block future... Read More . Hopefully, checking on Windows Update will solve your issue, if another did not already. But if you’re still plagued with a slow or frozen “Shutting down…” screen, read on. Windows has a feature called a Page File which essentially works like an extension for your RAM. If your system needs more memory How Much RAM Do You Really Need? How Much RAM Do You Really Need? RAM is like short term memory. The more you multitask, the more you need. Find out how much your computer has, how to get the most out of it, or how to get more. Read More than it has available, the least-used portions of data stored in RAM are moved over to a page file on your hard drive, so more important data can be kept in memory. Sometimes, clearing the Page File at shutdown is enabled for security reasons. This is because the page file can be a security hole, as the data in it can be retrieved. Clearing the file at shutdown can take some time, however, so it may be the source of your problem. Now, have a look at the pane to the right. Find the registry entry named ClearPageFileAtShutdown. If it is set to 1 it is enabled, and may delay the shutdown process. Right-click it, select Modify, and change the value to 0. Please note that, if you’re using a PC from your place of employment, the page file may be cleared for a reason. You might want to talk with your IT department before changing the setting, lest you end up earning the wrath of your company’s geeks. If you’re still having issues, it’s possible that a hard drive (HDD) or solid state drive (SSD) problem is the root of the issue. A corrupted or failing drive may hang while data is being stored, or may try to save data to corrupted areas, causing shutdown to fail. You can check the health of your hard drives by opening My Computer or This PC, right-clicking your Windows system drive, opening Properties > Tools, and , under Error checking, clicking Check to scan the drive for system errors. You can also try using a more robust error-checking and drive monitoring suite to check on your HDD and SSD health Keep an Eye on Your HDD & SSD Health With Hard Disk Sentinel Keep an Eye on Your HDD & SSD Health With Hard Disk Sentinel Have you ever had a drive failure? Sadly, there’s no panacea for preventing hardware damage. But monitoring your HDD or SSD, to act when their death becomes likely, is a first step. Read More , like Hard Disk Sentinel. 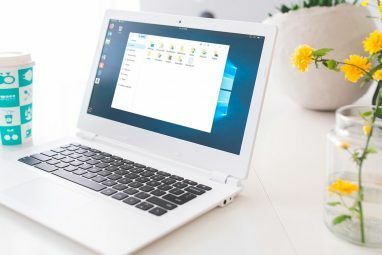 If your drive is corrupted, you can try to repair it either with Window’s Error-Checking tool or the third-party utility of your choice. This does not guarantee the drive will be fixed, though, as corruption due to internal hardware failure How to Repair a Dead Hard Disk Drive to Recover Data How to Repair a Dead Hard Disk Drive to Recover Data If your hard disk drive has failed, this guide will help you with the hard disk drive's repair and data recovery. Read More does occur. If that’s the situation you face, you’ll have to replace the offending drive. A computer that hangs when you shut it down can be a real frustration, but hopefully these tips can resolve the issue for you. Remember, while it may be tempting to just hit the power button, doing so might cause unsaved files to be lost. Don’t ignore the issue; get your computer to shut down properly. And now it’s time to optimize your Windows 10 boot time 6 Tips to Fix Slow Boot Times in Windows 10 6 Tips to Fix Slow Boot Times in Windows 10 If your Windows 10 boot time is slow, you aren't alone. We've compiled the most common solutions to help you fix this issue fast. Read More ! What helped you speed up the Windows shutdown process? And what other Windows operations are taking way too long? Let’s hear in the comments! Explore more about: Computer Maintenance, Windows 10, Windows 7, Windows 8.1. I'm having the same problem now, how did you fix it? I’m having the same problem now, how did you fix it? Thanks, that was extremely helpful and saved me a lot of time in the future and also prevented much frustration. I have had this computer for over a year,windows 8. Tonight instead of being to shut down, it gave me three options, 1. Sleep 2. Update and shut down. 3. Update and restart. I have never seen these options before. I choose update and shut down, but it is taking a very long time to update windows and shut down. Is this normal? Fantastic! it was indeed the Paging File for me. Now it zips thru shutdown in less than 10 seconds as opposed to 10 minutes! "unneeded information must be removed from memory" Pretty much nope on that one. What's ever in memory when the computer shuts off just gets lost. You don't have to "erase" ram when you shutdown, which is what it sounds like you're implying in this sentance. Oh how wrong you are my friend. Every time windows shuts down it makes sure essential files are removed from memory and saved safely on the storage drive. If it did not, your system would become corrupt and unusable in a flash. I'll challenge that. Ever done a hard shutdown? RAM is volatile memory, and as such is cleared the second it loses power. So it doesn't need to be "erased," but any important data will be lost if it's not saved before shutdown. You should only do a hard shutdown if necessary, but unless you're installing updates or doing something else incredibly important you're not likely to damage anything. my problem is that my computer won't go to Sleep neither Hibernate nor shut down, even I changed my windows and it did not helped; I do not what else to do . i have been having some problems for some time with 8.1 64 bit almost hanging and taking way too long to shutdown! the solution was not only perfect but it solved everything. i had uninstalled my new 2015 kaspersky to figure out what the hell was going on. my system now runs like a charm regardless whether the pagefile is system managed or not! Thank you Matt my problem is sorted after trying the "Page File Problems", it has worked a treat on my Dell Inspiron 6400 laptop, running Windows 7. The laptop I use at the office told me yesterday that it had 300 updates to install before it could shut down. I left it running its updates and went on home. When I came back in this morning and turned it back on, it took forever to get to a working screen, as it said it was reverting updates. What's going on? Thx for the helpful article! I agree with James V, I have a desktop with xp which took an ice age to shut down. I also have a new laptop with Win 8 installed that had me hovering over the wall socket switch for nearly a minute until it finally shut down. Then I installed Linux Mint onto both machines, and hey presto, instant shut down. Add to this the massive superiority of Linux Mint over Windows 8 and you cant lose. So! back to this article heading, "Is Windows Taking Forever To Shut Down? Try" Linux! You must not have had XP set up well. Back when I ran XP I could restart my computer (and have it fully booted) in 20 seconds with a traditional hard drive. My old laptop shuts down in 3 seconds running openSuSE Linux, way faster than Windows. Same with booting; on Linux I have time to get a cup of coffee. On Windows, I have time to make a pot of coffee. Linux: go to the bathroom for a #1. Windows (fittingly): time enough for a #2. Duh. You have an SSD. "System processes must end, data must be saved, and unneeded information must be removed from memory." And all kinds of user information needs to be transmitted back to Redmond. Just another reason not to by Windows, thanks for the article. ...every OS has issues. 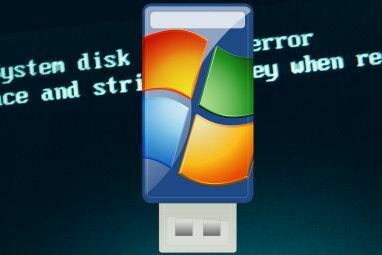 One of the plus sides I find with Windows is that there are so many people using it in such a similar configuration that most issues are documented on several sites/forums and a plethora of workarounds/solutions are a click and short read away. Windows 8 shuts down like Windows 98, in 1 second.